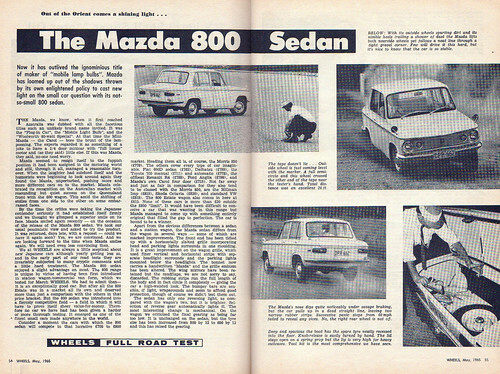 A recent post on japanesenostalgiccar.com put me into search mode on the stack of old car magazines I have at home, sadly I am yet to find what I am after but I did come across a few interesting things which I thought I would share with you. This particular entry is a Road Test and a subsequent Advertisement for the same car, in the 1965 Australian ‘Wheels’ Magazine. WARNING: The target image may cause those with 56k Modems to walk around the block before coming home to make a cup of tea to finish, before viewing.